Something that new Drupalers struggle with is getting their site secured with SSL, the little lock in the browser or https://. Their first reaction is, “There has to be a module for that” and there are a few modules for getting your site HTTPS friendly, but there is a much easier solution. Read on to find out how to do it simply through your .htaccess file. Form Spam plagues everyone's website. In Drupal, we have numerous options for reducing Spam, but which way is the best way? Read on to discover the secret weapon to beating form spam. Are your Drupal emails failing to send? Are they not getting to their intended recipients. 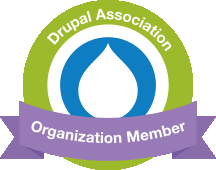 Find out how to bullet-proof Drupal's system emails. If you're a Drupal end-user or website owner, it can be tempting to install your own security and code updates. However it's not as simple as you think and could really harm your website if not done correctly. Read on to find out why. One of the most common questions we get is how to your Drupal site load faster. Your site's speed is important because it can effect your SEO ranking, your visitor's stay time, and the time it takes to manage the site. Let's run through a few quick little wins you can achieve within the Drupal interface itself.